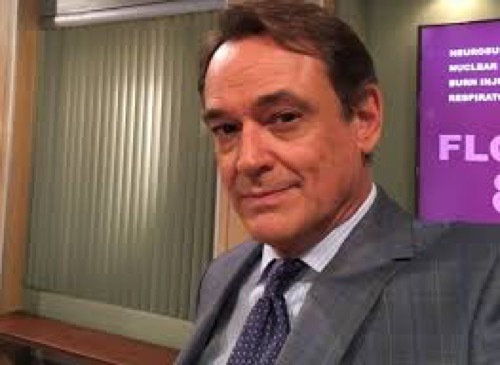 General Hospital (GH) spoilers tease that Ryan Chamberlain (Jon Lindstrom) will struggle in his current state. He’s used to being in total control of the situation, but his sudden blindness has thrown off that plan. Ryan has no idea that he left a crucial clue at the scene of the crime – and now that clue is in Ava Jerome’s (Maura West) hands. The cops also have the murder weapon, so they believe the killer’s getting sloppy. In reality, Kevin’s excruciating headache and eventual loss of sight are to blame. Nevertheless, the cops will use these hints to their advantage. Now that another prominent Port Charles resident has been attacked, catching the murderer is more important than ever. Jordan Ashford (Briana Nicole Henry) suggested if they find the shoe that made the bloody footprint, they’ll have their killer. She’ll be eager to track it down, but Ava took the bagged shoes home to exchange them for slippers. Will Ava open the bag and get a shock? If so, this could make her rethink a few things about the man in her life. General Hospital spoilers say Ava might develop suspicions, but she may ultimately brush them off. She won’t want to believe the one person who truly cares about her could do something so horrible. Ava has been warned about Dr. Kevin Collins’ previous psychotic break, but she’s seen no signs of it firsthand. She only knows a doting and kind “Kevin,” so she may be looking for another explanation. Ava might even mention the blood to Ryan, but he could play dumb and suggest he must’ve stepped in it in the elevator. Lulu Falconeri (Emme Rylan) was bleeding in there just before Ryan entered, so it’d be a reasonable explanation. However, this should be a pivotal moment in Ava’s journey to the truth. Now that suspicions are surfacing, there’ll be thousand little ways for Ryan to trip himself up. General Hospital spoilers suggest that like Anna Devane (Finola Hughes), Ryan’s vision will be restored. That means Ryan can get up to his old tricks again. He’ll most likely try to finish Lulu off in her hospital room at GH. General Hospital buzz says that Ryan will pretend to still be blind after his sight is restored. This will make the perfect cover for him to slip into Lulu’s room and turn off her life support! Of course, the pressure will also get worse thanks to Ryan’s errors. If he makes another mistake, Ava will surely notice. Ryan’s fun could be over in an instant if he faces Ava’s wrath! Will Ava be the one to crack the case? What will finally connect the dots for the PCPD? We’ll give you updates as other GH news comes in. Stay tuned to the ABC soap and don’t forget to check CDL often for the latest General Hospital spoilers, updates and news. General Hospital Spoilers: Baby James in Danger, Becomes Pawn in Ryan’s Scheme – Maxie and Felicia Panic Over Kidnapping?